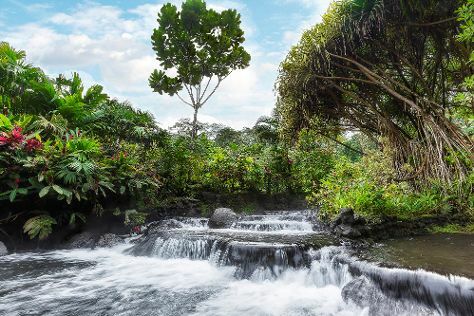 On the 21st (Tue), relax and rejuvenate at Tabacon Hot Springs and then admire the natural beauty at Arenal Natura Ecological Park. Get ready for a full day of sightseeing on the 22nd (Wed): take in the dramatic scenery at La Fortuna Waterfall, then relax and float downstream with a rafting and tubing tour, and then have some family-friendly fun at Reno's International Mini Golf & Amusement Center. To find more things to do, reviews, maps, and other tourist information, read our La Fortuna de San Carlos custom trip planner. Lethbridge, Canada to La Fortuna de San Carlos is an approximately 23-hour combination of car and flight. The time zone difference moving from Mountain Standard Time to Central Standard Time is 1 hour. Finish up your sightseeing early on the 23rd (Thu) so you can travel to Vara Blanca. Kick off your visit on the 23rd (Thu): stop by Souvenir Muy Tranquilo and then look for all kinds of wild species at La Paz Waterfall Gardens. For maps, more things to do, traveler tips, and tourist information, use the Vara Blanca tour planner. Traveling by combination of taxi and flight from La Fortuna de San Carlos to Vara Blanca takes 2 hours. Alternatively, you can drive; or drive. In March in Vara Blanca, expect temperatures between 34°C during the day and 21°C at night. Finish your sightseeing early on the 23rd (Thu) to allow enough time to travel to Santa Teresa. 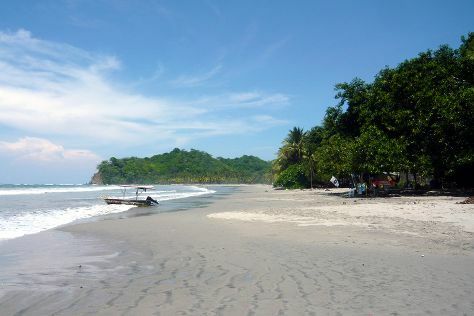 On the 24th (Fri), kick back and relax at Playa Hermosa and then kick back and relax at Playa Santa Teresa. To see maps, more things to do, other places to visit, and tourist information, read Santa Teresa vacation builder. You can do a combination of taxi and flight from Vara Blanca to Santa Teresa in 2 hours. Other options are to do a combination of car and ferry; or do a combination of taxi, bus, and ferry. Wrap up your sightseeing on the 24th (Fri) early enough to drive to Playa Samara. Kick off your visit on the 25th (Sat): enjoy the sand and surf at Barrigona Beach and then kick back and relax at Samara Beach. For traveler tips, more things to do, maps, and other tourist information, read our Playa Samara vacation planner. You can drive from Santa Teresa to Playa Samara in 2 hours. Another option is to drive. In March, plan for daily highs up to 40°C, and evening lows to 25°C. Finish your sightseeing early on the 26th (Sun) so you can take a bus to Tamarindo. On the 26th (Sun), tour the pleasant surroundings at Playa Conchal, then enjoy the sand and surf at Tamarindo Beach, and then look for gifts at Lydia Beech Art. Here are some ideas for day two: find something for the whole family at Black Stallion Eco Park & Estates and then enjoy the sand and surf at Playa Avellana. To see reviews, where to stay, more things to do, and tourist information, refer to the Tamarindo sightseeing planner. Traveling by bus from Playa Samara to Tamarindo takes 1.5 hours. Alternatively, you can drive; or drive. 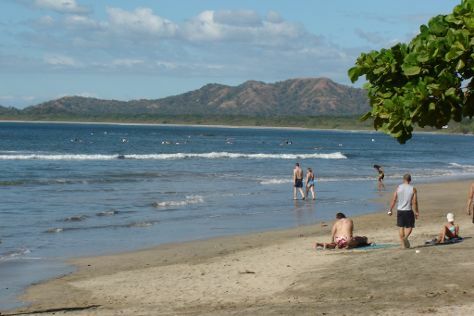 In March, daytime highs in Tamarindo are 40°C, while nighttime lows are 25°C. Wrap up your sightseeing on the 27th (Mon) to allow time to travel back home.